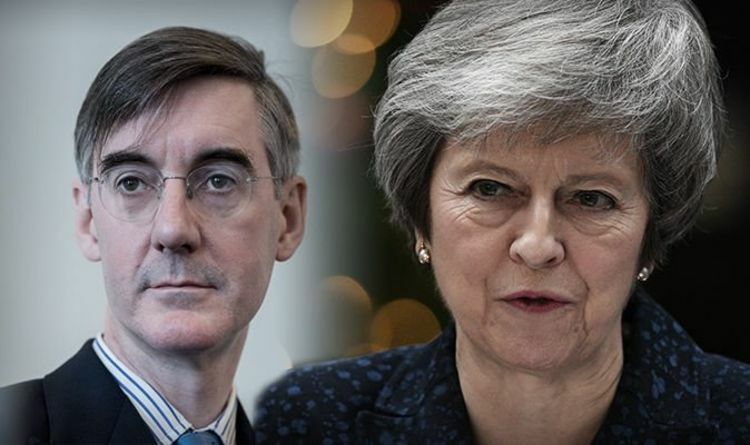 Mr Rees-Mogg said: “If there is an election from this, I won’t be a candidate.” He said the confidence vote would be a defeat for Mrs May if she did not receive backing from more than half of Conservative party lawmakers. In an earlier joint statement with his deputy Steve baker, Mr Rees-Mogg said the Conservative party would not “tolerate” Mrs May’s Brexit plan. After Mrs May pulled the meaningful vote yesterday Mr Rees-Mogg accused her of failure and called for a new Prime Minister to take the UK out of the EU without a deal. Mr Rees-Mogg has said he believes Mrs May has “not negotiated competently” and that she should never have accepted the structure of Brexit negotiations as set out by the EU. This morning Mrs May announced she will contest the vote of no confidence with “everything I’ve got”. A new leader would have to extend the March 29 deadline for Britain’s exit from the EU.